How can parents help in the development of an 18-month-old? Yes, babies grow fast. And, very soon they would be able to walk alone, drink from a cup, and remember names of several objects around. All this happens at the age of 18 months. This is also the time when they are no longer an infant, but a toddler. There are many such growth landmarks. MomJunction presents a list of all the developmental milestones achieved by your baby in their 18th month. A baby displays development in three primary areas – cognitive, physical, and social and emotional. Each developmental area has its individual developmental milestone checklist. These are milestones about an 18-month-old’s cognitive abilities, brain development, and thinking prowess. Remembers the purpose of several objects: The little one now understands the functions of several household objects. For instance, the baby knows that a telephone is for talking to someone who is at a distance. When you hand him a spoon while eating, he knows that it is used to feed himself. Matches pair of objects: Identical toys will be placed together, and he will always carry his shoes in pairs. The toddler remembers that two identical objects form a pair (1). Follows one-step commands: When told to ‘sit down’ the baby sits, when said ‘come here’ he gets up and walks towards you. The baby can now interpret instructions and respond promptly to them. Knows the name of objects or parts of the body: When asked to point to his nose, the baby points correctly to the body part. He can also identify for a particular object from among several items. A good object-noun association helps facilitate this ability. Imitates complex actions: An 18-month-old will imitate chopping a vegetable if he sees his mom cooking or pretends to shave when he sees his dad shaving. The baby keenly observes actions and imitates them often. Points at something that he wants: If he wants you to fetch his toy from the shelf, then he will point towards the toy. Babies now know that pointing at something indicates an explicit interest. Scribbles when handed a crayon: The 18-month-old scribbles and attempts to draw on paper when given a crayon. He cannot make meaningful drawings yet scribbles quite ardently (2). Displays interest in toys and pretend plays: The baby picks up a stuffed animal and caresses it with care or pretends to talk to it. This form of pretend play leads to richer imaginative play later in life. These milestones are about a baby’s physical growth, motor skills, and general muscular abilities. Walks alone without support: For the first time, the baby lets go of a support and walks alone correctly (3). There is a better body balance with the strength to enable this significant landmark. Since the baby can ‘toddle’, which is walking with a slight wobble, he is also called a toddler. Pulls toys while walking: He doesn’t just walk but also pulls stringed toys, such as a toy car, while walking. May run and walk up the steps with support: Some toddlers may even run albeit in short bursts or at a slow pace. The little one may also walk up and down the stairs using the support of the handrails. Stronger leg muscles can facilitate this milestone. Can throw a ball: The aim could be incorrect, but at least he knows how to throw a ball. Better musculature and increased strength of the shoulders help do this action. Can remove some clothing and shoes: The 18-month-old’s motor skills are robust enough to enable the toddler wear or remove some pieces of clothing such as jacket and socks, without any assistance. Drinks from the cup and eats with a spoon: The 18-month-old puts aside the sipper to drink from an open cup instead. He will also be able to hold a spoon properly and guide it to his mouth. Will have at least ten teeth: The ten teeth will be the lower and upper central incisors, lower and upper lateral incisors, and the lower first molars. Some babies may even have the upper first molars by 18 months, and then the total teeth count will be 12 (4) (5). These are milestones about the baby’s social skills, emotional temperament, and the ability to use language. Throws temper tantrums: Behold the first temper tantrums! The baby got fussy earlier, but this time it is a real tantrum. For instance, if earlier you took away a toy from him, he would cry and act fussy. But now, he will pretend to cry loudly, roll down on the floor, and even throw his hands up in the air. 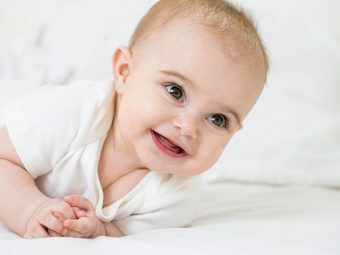 May respond to a greeting with “Hi”: A toddler may pick up some greetings from parents or caretakers. As a result, the next time you say “Hi”, you may get an enthusiastic “Hi” back. Laughs in response to someone laughing: During a social gathering, when everyone laughs, the 18-month-old joins the roar. There is now an understanding that laughing is essential for social bonding, and the 18-month-old will practice it often. Gets nervous around strangers: When around new faces, the baby may seem a bit nervous and wary of their presence. If the stranger attempts to come close or touch the baby, he starts crying. May become clingy to parents in new situations: The 18-month-old will cling to his parents when visiting a new place, when around unknown faces, or when he is just unsure of what is happening. Displays affection to familiar people: Those close to the baby will be rewarded with adorable hugs and smiles. The toddler would display ardent fondness, especially to the primary caretakers and siblings. Has social play: The 18-month-old will be happy to play with close ones such as siblings and grandparents. Can speak some single words: The toddler now knows about 10-20 single words that help communicate his feelings or thoughts. These words would be basic, and the pronunciation would be gibberish, but still, the baby makes a discernible sound of the word. Shakes head from side to side to say “No”: The baby moves his head from side to side to convey “No”. Therefore, when you ask him if he wants his bottle or if he is not hungry, he will shake his head from side to side. Each baby is unique and may develop at a pace different from his peers. However, some red flags are definite indicators of delay. 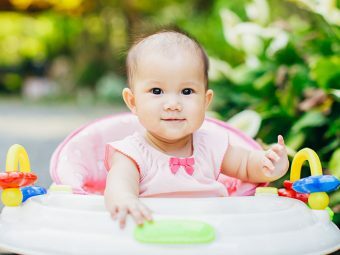 According to the US Centers for Disease Control and Prevention (CDC), the following could be the signs of developmental delay in an 18-month-old’s growth. Does not point at objects or persons of interest. Makes no effort to imitate actions. Does not seem to recognize and recollect familiar objects and people. Knows less than six words. Does not seem to acknowledge the presence of a stranger. Take your baby to a doctor right away if he shows any of the above signs. 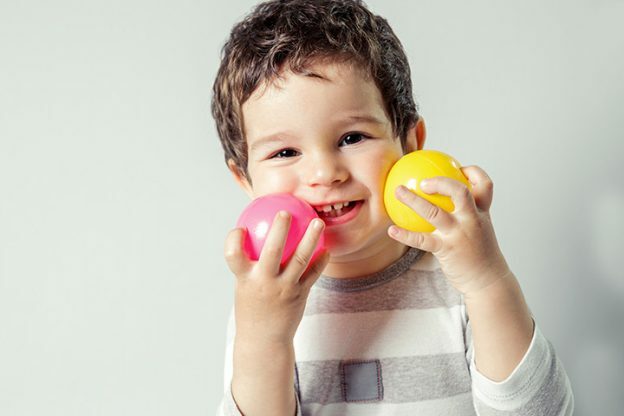 The American Academy of Paediatrics (AAP) recommends screening a baby for developmental delays, including autistic spectrum disorders, at the age of 18 months (6) (7). However, if the baby does not have any disorders, then parents can ensure that their 18-month-old grows the healthy way. Give adequate opportunities to walk: Your baby now likes to stand on his feet and walk rather than crawl. You could indulge in activities or games that encourage him to walk. Have meaningful conversations: Babies understand “No” and also several other single words. Keep your conversations purposeful and cut down on baby talk. Ask the baby questions, give him options such as“Yes” or “No”. This will help hone the communication skills of an 18-month-old. Set some rules: Remember, the toddler’s temper tantrums would greet you often around this time. So, set some rules. For instance, no play and straight to bed after 8pm and no high-sugar candies, but can have some extra fruit. Rules help set order and mitigate the chances of a stormy tantrum. Social play is important: Interaction with other toddlers and family members helps baby learn to forge social bonds. Therefore, social play is crucial. Let the baby be independent: The 18-month-old will love to eat on his own, drink water from the cup, and perhaps try tying his shoelaces after he saw you doing it. He may not always get it right, but it is good to let the baby give a try at these things while you keep a watch. The right amount of stimulation and motivation is all an 18-month-old needs to achieve his growth landmarks. But do not be pushy just because other babies of his age are faster. Babies take time to explore and comprehend the world around them. Unless he shows any signs of delay, there is no need to worry about it. Eventually, love, care, and stimulation are all that he needs to stay right on track at achieving developmental milestones. 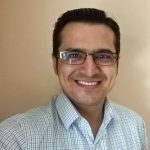 Have any activities to aid the development of an 18-year-old? Then share them with other parents in the comments section below.